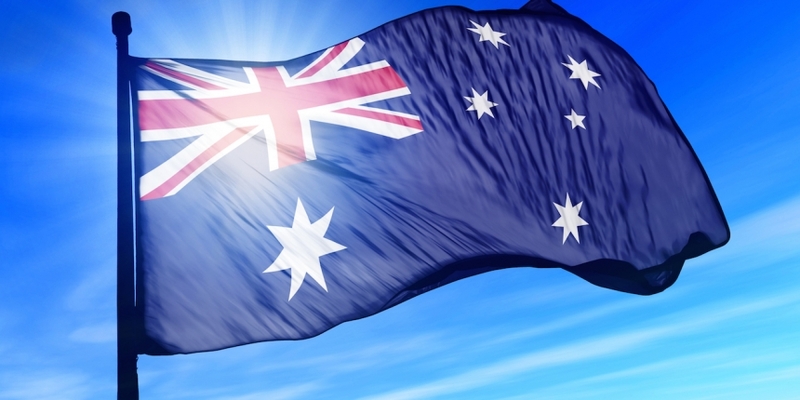 The Australian Tax Office (ATO) today released its long-awaited guidelines on how bitcoin businesses and individual users will be taxed in Australia. The guidelines are similar in nature to those issued by Singapore in January, which received a mixed response from the bitcoin community. In summary, bitcoins will not be regarded as ‘money’, and will be taxed in a similar way to other non-cash or barter transactions. As in Singapore, this raises the specter of double-taxation for some bitcoin transactions. Likely to be impacted most are businesses who have been transacting in bitcoin and treating it equally to the national currency, the Australian dollar (AUD). Titled Tax treatment of crypto-currencies in Australia – specifically Bitcoin, the guideline document is a “general in nature” draft version only, and not yet legally binding. The ATO has also not indicated when the rules will begin to apply, or whether (in the case of IRS guidelines in the US) they will be applied retroactively. “Transacting with Bitcoin is akin to a barter arrangement, with similar tax consequences”, the paper noted. Items such as shares, bonds, loans, derivatives and foreign currencies are regarded as ‘money’ or ‘financial supply’ under existing regulations, and are not subject to GST (similar to sales tax or VAT in other jurisdictions). These definitions are bound to cause some controversy. The bitcoin industry had argued that the broad definition of money could also include bitcoin, and asked for it to be defined as such. Were bitcoin to be defined as ‘money’, ‘foreign currency’ or even ‘financial supply’, exchanging it would not incur GST. This may, however, require legislative change and would likely have wider implications for other forms of non-money units, such as store loyalty points. Most tax authorities and regulators around the world have so far expressed reluctance to refer to bitcoin as ‘money’, despite some jurisdictions requiring bitcoin handling companies to apply for ‘money services business’ licenses. To comply, Australian tax-domiciled businesses and individuals involved in bitcoin transactions will be required to keep records of: (a) dates of transactions; (b) the value in Australian dollars as listed on a “reputable online exchange”; (c) the purpose of the transaction; and (d) who the other party is (a bitcoin address will suffice). Non-business personal transactions using bitcoin would not be subject to income tax or GST. In such transactions, any capital gain or loss from disposal of the bitcoins will be disregarded if the value is under AUD$10,000 (USD$9,300). A business or enterprise receiving bitcoin as payment for goods or services, however, would need to record the dollar value as part of ordinary income (as with any other non-cash payment). Businesses would also be charged GST on that transaction, though some deductions may be applicable. Employees could still elect to have their salaries paid in bitcoins instead of dollars, but their employers would be subject to provisions of the Fringe Benefits Tax (which covers non-salary perks like company cars, frequent flyer points, memberships, etc). Employers would still be required to deduct ‘pay-as-you-go’ income tax from bitcoin salaries. Those in the business of mining bitcoins (not individual miners) would pay income tax on the value of bitcoins transferred to a third party, with losses permitted as a tax deduction. Bitcoins would be regarded as ‘trading stock’ and their total value would need to be declared at the end of each tax year. Exchanges and bitcoin ATMs would be taxed depending on whether they were acquiring/supplying bitcoins as part of a regular business transaction, or as an investment. Applying GST (currently 10%) to anything sold by an exchange could see Australians paying more for locally-acquired bitcoins. The Bitcoin Association of Australia (BAA) said it was “disappointed” with the guidance and that it “could be better”, though it appreciated the ATO’s level of consultation with experts within the community. President Jason Williams said in a statement. The statement described the ATO’s guidelines as an “onerous administrative burden” on bitcoin businesses, and would put Australia “behind the curve” of a potentially revolutionary technology. Ashley King, CEO of bitcoin wallet provider CoinJelly, was more optimistic, saying the guidelines might actually help bitcoin participate more in the mainstream economy. Jon Garney from ShopJoy said he found the draft disappointing, though not at all surprising. He added that he had hoped the ATO would assist Australian startups, who were usually time-poor with limited resources for complicated bookkeeping, as they struggled to get off the ground and compete in a global market. CoinTree, a service for buying and selling bitcoin, said it will be business as usual for a majority of its users. CEO Shane Stevenson said the company would implement additional features to assist users in filing tax returns and dealing with GST implications. Ron Tucker, chairman delegate of the Australian Digital Currency Commerce Association (ADCCA) and CEO of Sydney startup Bit Trade Australia, said the ATO’s approach to the impact of GST on bitcoin transactions was “impractical” and took a line that had already been rejected by other jurisdictions, such as the UK. Rather than become a regional center for innovation, the new rules would more likely see bitcoin driven underground and startups move offshore. Several proprietors, Tucker continued, had already expressed they would consider relocating. He added it was now up to the government to respond with legislative change to avoid stifling a budding industry. Amor Sexton, a leading digital currency-focused lawyer with Adroit Lawyers in Sydney, told CoinDesk the bitcoin industry’s reaction would likely be mixed, but was happy with the ATO’s level of consultation. Bitcoin adoption rates were still relatively small compared to the rest of the economy, she added. Sexton co-wrote a research paper on behalf of the Bitcoin Association of Australia with recommendations on how the ATO should tax bitcoin, which was presented to the agency at the beginning of June. That paper had recommended bitcoin be treated as money to avoid double-taxing through GST. The ATO announced its intention to issue bitcoin tax rulings in February, initially intending to release detailed guidelines by the end of the 2013-14 financial year on 30th June. Later, however, it decided to delay its announcement in order to provide a “comprehensive and robust” ruling and seek additional legal advice on the matter. CoinDesk will continue to update this developing story as more information becomes available.